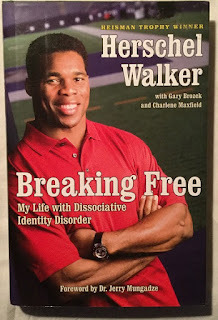 This book, which came out in 2008, describes Herschel Walker's struggle with living with dissociative identity disorder. A controversial diagnosis, then and now; D.I.D., is what people used to refer to as multiple personality syndrome. Under the a psychiatrist's care, Herschel came to find that he had lived his life through a series of "alters", which would take over his natural personality, in order to navigate through life. The various "alters" were give names such as the "warrior", and could be called on subconsciously in order to guide Herschel through certain situations in life. When the book was released, many people were skeptical of the findings in it. Herschel believed the cause of the disorder was the terrible bullying he received as an overweight child in school. He also had a severe stuttering problem, about which he said he was teased constantly. However, others said that only very severe trauma, such as extreme sexual abuse, or even torture, was the only thing that could cause D.I.D. I can't judge what Herschel experienced. But I did gain a lot of sympathy for him when I read the book. Despite his football success, he did go through some very dark places in his life. 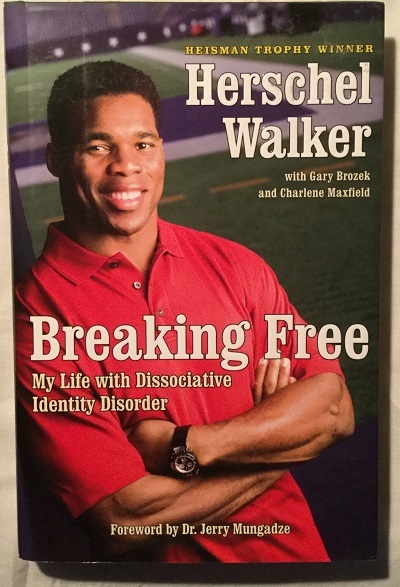 The book is a good read, and Walker is brutally honest, even describing playing Russian Roulette at one point. I can't even fathom what it would be like to have to deal with that. I'm glad to hear that he was able to overcome it though.